1. Once the booking has been processed, you will receive a Reservation Confirmation email that outlines a summary of your booking. Please review the information carefully and contact us immediately by email or phone if you have any questions or require any changes. 3. Pets are not permitted at Jinhold Apartment Hotel. 4. We recommend that all of our guests purchase Travel Insurance, which is generally inexpensive, but can really save a lot of emotional distress. Travel Insurance may pay for unforeseen events that might happen during your stay, it may cover Medical expenses, evacuation expenses,trip cancellation costs and so on. Ask your Travel agent, credit card company or you can purchase it yourself through your preferred travel insurance provider. 6. 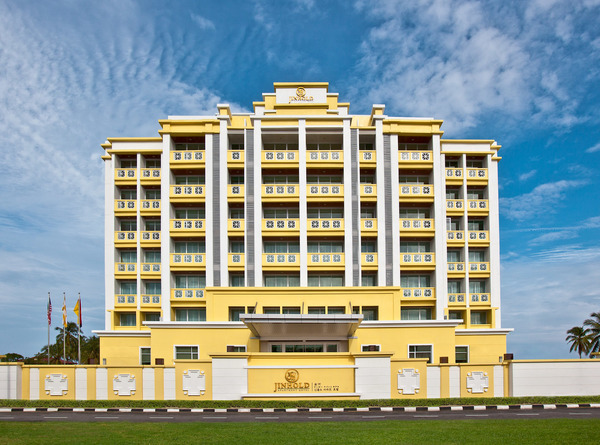 A tourist tax of MYR 10 per room per night is applied to all foreign guests. This tax is not included in the room rate and must be paid upon check-in. Guests with a valid Malaysia Identity Card or valid permanent residents Malaysia PR Card are exempted. 1. Any cancellation received within 3 days prior to the arrival date will incur first night charge. Failure to arrive at Jinhold Apartment Hotel will be treated as a No-show and no refund will be given. 2. We do not issue refunds or credits for flight cancellations,due to any circumstances. Please take out Travel Insurance to protect against flight cancellations. 3. There are no refunds or credits issued for early checkouts. 4. There are no refunds or credits issued due to bad weather,tropical storms or hurricanes; including any inconvenience or complication caused by a hurricane direct hit, near miss, or significant threat of a hurricane strike. Hurricanes are unpredictable by nature. Please take out Travel Insurance to protect against these types of unforeseen events. 5. Jinhold Apartment Hotel is not liable for any other costs,evacuation or inconveniences caused by a tropical storm or hurricane.